Visit us at West Omaha Chiropractic & Sports Injury Clinic to receive acupuncture and chiropractic care that will get you back to the activities you enjoyed before your injury much faster. We know how frustrating it can be to not recover as fast as you would like after enjoying an active lifestyle. This is why we are the ideal chiropractic clinic for athletes. We will help you achieve your goals safely with proven medical techniques ranging from acupuncture to chiropractic treatment and physical therapy. We offer acupuncture for sports injuries in the city of Omaha and the surrounding areas. Acupuncture is practiced by sports doctors and professional athletes across the globe due to its success in clinical trials. It is used to treat all types of injuries ranging from the neck to the ankle and even headaches and organ problems. In fact, some athletes use this method to increase stamina, endurance, and to get a natural competitive edge. Many people enjoy this type of Eastern medicine with great results that are backed by studies and time. What Happens During a Sports Injury Acupuncture Session? First, we will get to know you and your goals and understand the scope of your injury. During the session, you will be made to feel as comfortable as possible. 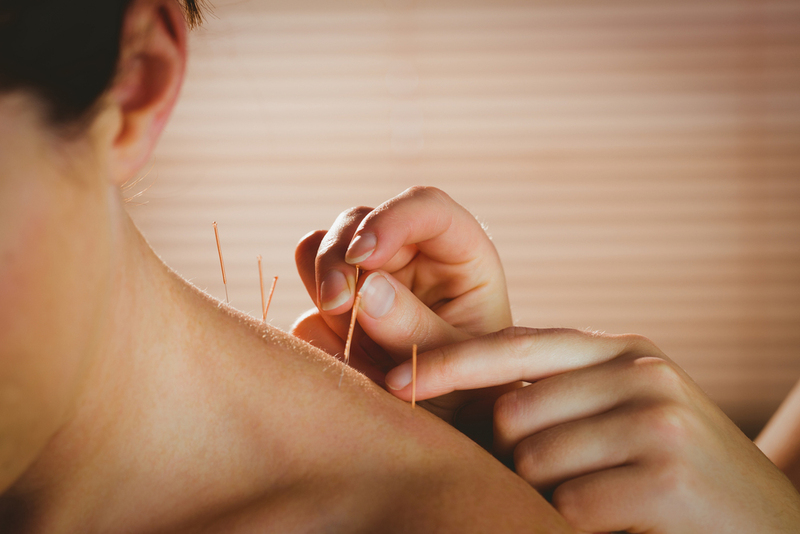 Don't worry—despite the fact that it sounds like there is potential for pain, acupuncture actually does not hurt at all because such tiny needles are used. The practice uses these tiny needles to press or activate a reaction in your body at the right location to allow healing to begin. The method is proven, and the sessions have been reported as relaxing. You will need to do nothing but relax while we apply the needles to the correct areas, then you will need to continue to stay still for the duration of the therapy, which will last 10 minutes each session. There is no pain during the removal of the needles. We treat patients with sports injuries with the best in chiropractic care. Acupuncture is ideal for all types of injuries and people from all walks of life. We offer many treatment plans to fit your lifestyle. Call West Omaha Chiropractic & Sports Injury Clinic at (402) 334-4700 to schedule your appointment today.